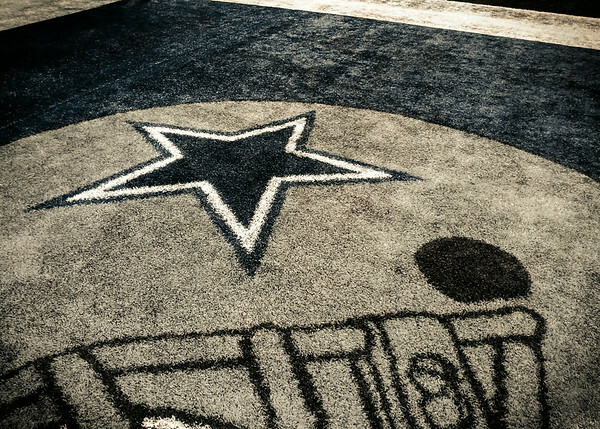 So last week, a little unexpectedly, I got to eat lunch with the Dallas Cowboys. Right in the middle of the field. 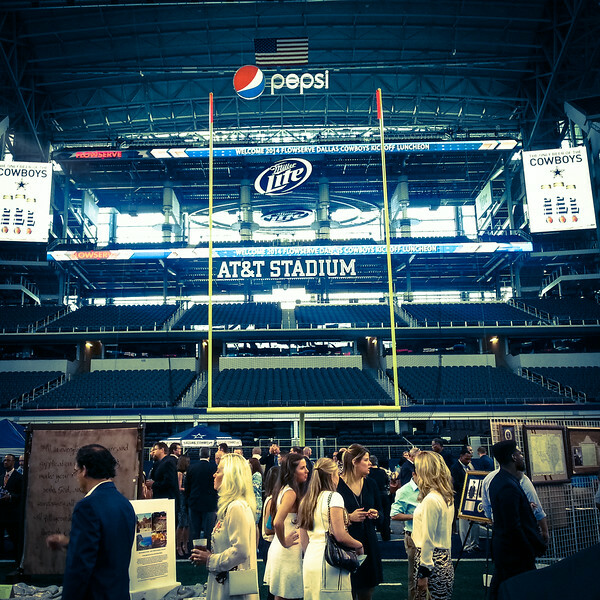 The event was part of the Dallas Cowboys 2014 Kickoff Luncheon, a celebration of the start of the new football season as well as a fundraiser for a local charity, Happy Hill Farms. My company, which sponsored the event, raffled off some tickets. When one of the winners dropped out on the day of the event, I got a call asking if I’d like to go in their place. After a quick “yes” and a short car ride, I was there. Having never been inside an American football stadium before, this event was a pretty good first experience. Walking on the astroturf-laden pitch (sorry, field) was impressive, even with empty stadium chairs all around. After a silent charity auction in which bundt cakes were selling for well over $200, we took our seats in the middle of the field. Players, coaches, trainers and executives were brought out one by one, all dressed in their best getups. Speeches were given, awards were received, and after a couple of hours the event was quickly over. We took our goodie-bags, left via the underground VIP car park and quickly got back to work. The best camera is the one you have on you. In this case, my camera phone stepped up to the lunch plate. 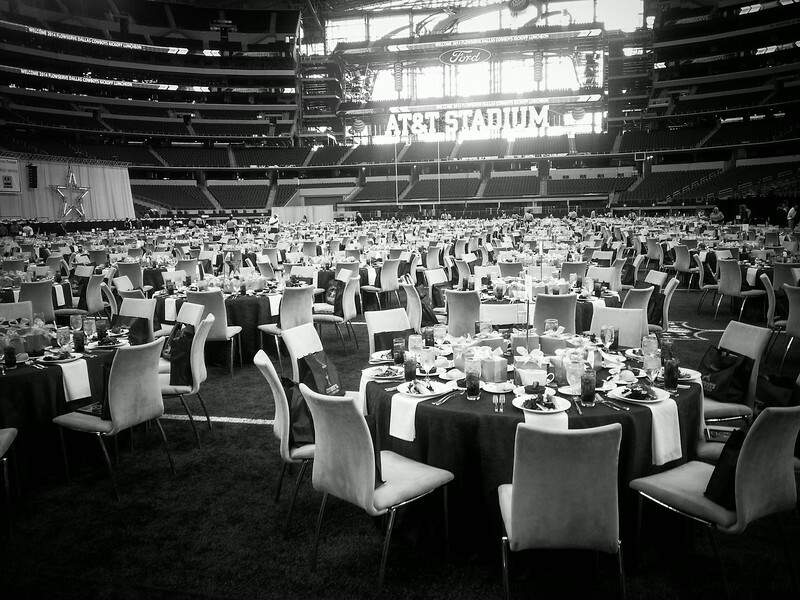 * While I don’t think this event will make a football fan out of me, it was certainly impressive to drop everything and eat lunch in the middle of a stadium. It’s a funny old world. * My wife tells me that “stepping up to the plate” is actually a baseball phrase. I'd like to think it works for lunch as well.